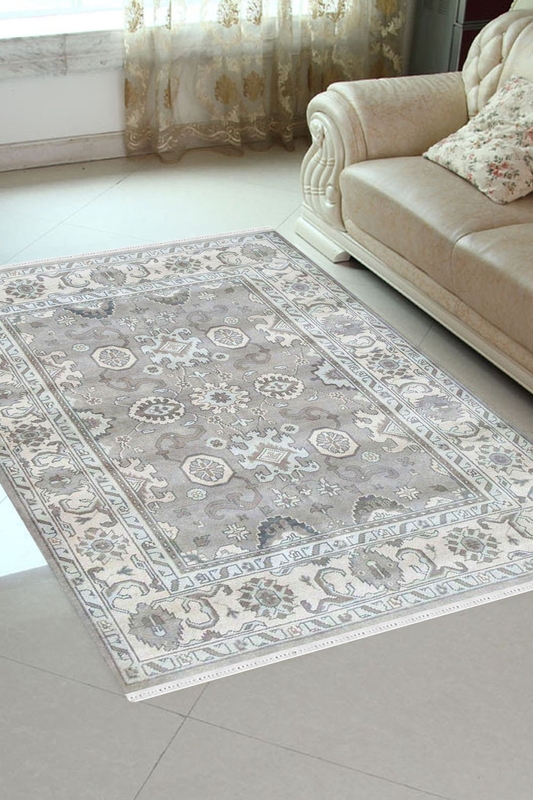 This Mughal patterned rug features a fresh and traditional design with its monochrome floral motifs and light colors. This is one of a kind handmade carpet. - Rugs are such an important element in our home interiors, these can be integral in helping to pull together a look or design scheme and a great way to add colour or pattern and texture. - This carpet is made in 100% pure New Zealand wool, you can be assured of both quality and style. - Classy Mughal carpet is woven in traditional pattern so you can take the benefits of warmth, durability underfoot and look of entire space.